← John Keats’ death mask inspires an art installation..or does it? Whilst on holiday in Suffolk a few weeks ago I bought a small book at a second-hand stall at the market in the lovely little town of Framlingham. 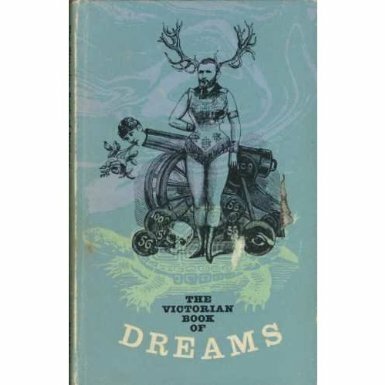 Called The Victorian Book of Dreams, it is clearly a forerunner of the little books you might have picked up at the till in Past Times as a desperate last moment Christmas present for someone who has everything (other than a book about Edwardian manners or tips for husbands). The picture on the front cover is magnificent and reading through it has been fun; but it has made me realise that the interpretation of dreams has come a long way in the past one hundred and twenty years or so. For example, one entry in the book states ‘Bagpipes – to dream of this musical instrument is always unfortunate; it denotes extreme poverty and you will have to labour hard all your life.’ I can’t help feeling there is some stereotyping involved in that meaning. Another suggests that should you be unfortunate enough to dream of a butcher cutting up meat, ‘some of your friends will be hanged and you will experience much misery and poverty’. However, if you dream that you or a friend is being hanged, it means you will become very wealthy. Work that one out. 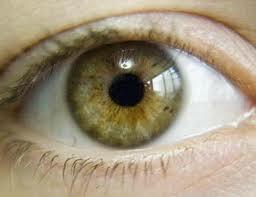 ‘Should your left eyebrow be visited with a tantalizing itching, it is a sign that you will soon look upon a painful sight – the corpse of a valued friend, or your lover walking with a favoured rival’. Of course, these interpretations are a little like reading one’s horoscope in the daily papers – I am sure I don’t have a day identical to every other Aquarian in the world. However hard experts try, and although certain symbols are repeated, we can be pretty certain that everyone has dreams that are unique to them and their life events. Sometimes when we wake up and grasp those last images as they fade before we have put our feet in our slippers we realise a dream was directly influenced by the previous day’s events, a particular worry or even the last television programme we watched. I am sure some of my dreams have no deep meaning at all. But some – the recurring ones for example – really intrigue me. Why do I often dream that the house I am living in (not always the same one) surprises me with new rooms I have never entered before? Or contain a room with a door I am afraid to open, as I know it to be full of things I am slightly scared of? Why do I dream of being desperate for the loo, only to find that the only ones available are right in the middle of someone’s sitting room, or are public ones and utterly filthy? I envy people who can remember their dreams well enough to write them down and weave a narrative around them. Author Vivienne Tuffnell writes eloquently and with wonderful clarity about some of her sleep experiences. The only ones I remember are those ‘repeats’ and ones that wake me, leaving me anxious and sometimes deeply disturbed. Even then they evaporate eventually, into an unsettling mist about the day ahead. 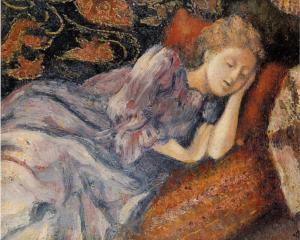 John Keats wrote a wonderful sonnet ‘To Sleep’ – try reading the last two lines aloud and feel them in your mouth, they are two of the most sensual lines of poetry I have come across..
Dreams are clues to what is preoccupying our minds, but can we interpret them to find solutions to our 21st century problems or divine our fates? I would love to hear your views. This entry was posted in Books, History, Keats, Poetry, Random musings on family life, love the universe and everything, Reading, Writing and tagged book, dreams, interpretation, John Keats, meaning, memory, reading, Victorian. Bookmark the permalink. I have a number of dream interpretation guides including one very similar to your acquisition. The modern ones are much more useful, I can assure you of that, but nonetheless it’s up to a dreamer to find the meaning for themself. For a serious seeker, I can heartily recommend Tom Chetwynd’s Dictionary for Dreamers and the Dictionary of Sacred Myth and The Dictionary of Symbols. I also keep a dream journal that is very useful on several counts. The simple possessing of such a thing tells the unconscious mind that dreams are important and the intent to use signals you are ready for dreams. It also means you can keep track of when certain dreams occur, and also you can work with the meaning more deeply and consistently. I have never kept a dream journal – my dreams are never as beautiful and mysterious as yours. My psyche clearly works more prosaically than yours….! I absolutely adore that Sleep sonnet! It is beautiful to read aloud, the whole thing. Yes – it is one of my favourites. I think we should hear it more often…! Reblogged this on Evanescent Eidolon. Thanks for the reblog – much appreciated!